Upon the invitation of Fr. Columba Stewart, next summer I will teach an intensive Coptic course in the United States, together with my colleague, Victor Ghica (Norwegian School of Theology, Oslo). The course is funded by Dumbarton Oaks and will be hosted at HMML, Collegeville, Minnesota, between July 7 and August 2. The deadline for applications is February 15, so, if interested, there is still time to apply. We will do lots of Coptic literature and manuscripts! Here follows the official announcement. Building on three summers of success, Dumbarton Oaks in collaboration with the Hill Museum & Manuscript Library (HMML) announces an intensive four-week course introducing the Syriac and Coptic languages and paleography in summer of 2019. The program, sponsored and funded by Dumbarton Oaks, will be hosted at HMML, located on the campus of Saint John’s University, Collegeville, Minnesota. The summer school will run from July 7 to August 2, 2019 (arrival on July 6, departure August 3). The audience is doctoral students or recent PhDs who can demonstrate a need to learn Syriac or Coptic for their research. The Summer School will consist of morning and afternoon sessions Monday-Friday, complemented by guest lectures and other learning opportunities, as well as social events and enjoyment of the beautiful 2700-acre campus with woods, lakes, and notable architecture. Prior familiarity with basic Syriac or Coptic grammar is not a prerequisite but some preparation will be required before arrival, as directed by the instructors. The courses will include an introduction to paleography and to the study and use of manuscripts, especially those now available in the vHMML Reading Room from HMML’s vast collection of digitized manuscripts. Following this intensive course, students will be fully equipped to continue reading on their own or to enter reading courses at other institutions. 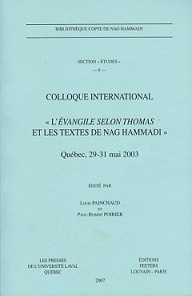 Syriac: Dr. Robert Kitchen, Regina, Saskatchewan, and Sankt Ignatios Theological Academy, Södertälje, Sweden; Dr. Sergey Minov, University of Oxford. 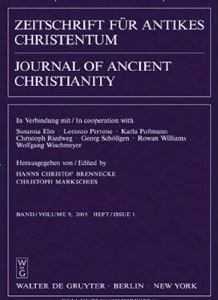 Coptic: Dr. Alin Suciu, Akademie der Wissenschaften zu Göttingen; Prof. Victor Ghica, Norwegian School of Theology, Religion and Society, Oslo. Students will be housed in apartments on the Saint John’s University campus. Each participant will have a private bedroom and bathroom, with shared kitchen and laundry facilities. A meal contract at the student Refectory will be provided. 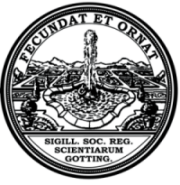 All expenses will be covered by Dumbarton Oaks, apart from travel to and from Saint John’s University. See more about visiting HMML. A letter of no more than two single-spaced pages describing the applicant’s academic background (including language skills) and an explanation for why learning Syriac or Coptic is important for future research and teaching. A transcript of graduate school coursework for those who are currently doing graduate study. This is not required for those who have completed their PhD. Two letters of recommendation, to be sent separately. The application letter and recommendations should be addressed to Fr. Columba Stewart, OSB, Executive Director of HMML. Letters and other materials should be sent as email attachments to fellowships@hmml.org with “Syriac [Coptic] Summer School” in the subject line. Applicants will be evaluated on the basis of previous academic achievement, demonstrated need for intensive study of Syriac or Coptic, and research promise. Awards will be announced in late February 2019, and must be accepted by March 15, 2019. Anthony Alcock’s latest translation from Coptic can be downloaded HERE. The last week of September, 33 graduate students and faculty members took part in the third summer school on Ethiopian and Eritrean manuscript studies organized by the Hiob Ludolf Centre for Ethiopian Studies (Hamburg). This year, for the first time, thanks to generous support from the Volkswagen Stiftung, the event did not take place in Germany but in Mekelle, Ethiopia, and was organized in cooperation with the St Yared Centre for Ethiopian Philology (Mekelle). The venue was the Axum Hotel. The summer school had been designed to be accessible to a diverse public and did not require previous knowledge in Ge’ez or in any other language of Ethiopia. The event included both theoretical lectures and practical workshops. The first two days (September 24-25) were dedicated to theoretical presentations. Monday’s lectures included introductions to Ethiopian and Eritrean studies, their methodology and tools, Ethiopian manuscript studies, and codicology and palaeography of Gǝ’ǝz manuscripts. Tuesday comported lectures on Gǝ’ǝz philology and literature, and it ended with four presentations on work-in-progress by summer school participants: Stanislau Paulau (University of Göttingen), Alex Dally MacFarlane (University of Oxford/British Library), Yonas Yilma (Addis Ababa University/ARCCH) and Yeneneh Tariku (Addis Ababa University/Haramaya University). On the morning of September 26, the participants were introduced to digital resources and TEI XML for Ethiopian manuscript studies. 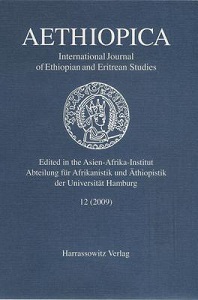 The afternoon of the same day was dedicated to Islamic literature in Ethiopia and Islamic Ethiopian manuscript studies. September 27 started with theoretical presentations on manuscript cataloguing. Then, in the afternoon, the attendees were split into groups and worked on two Ethiopian manuscripts (in PDF format) which they had to catalogue and describe codicologically, as well as from the point of view of textual content. This exercise continued in the morning of September 28. Afterwards, the participants were able to have a first-hand experience of the digitization of two Ethiopians manuscripts, with the material that researchers usually resort to when they visit Ethiopian churches or monasteries: sophisticated enough to enable them to take high-quality pictures, but light enough to be carried on even up to monasteries that are difficult to access, e.g. on the top of a mountain. The last day, September 29, was dedicated to art history and the conservation of manuscripts. The event was closed by a farewell address of Professor Kindeya Gebrehiwot, President of Mekelle University. The summer school was followed by the International Congress of Ethiopian Studies (1-5 October 2018), which was also organized in Mekelle. Many of the participants therefore prolonged their stay in order to attend both events. This is a brand new 5-day course for experienced readers of Coptic. It will concentrate on the great Coptic father Shenoute, as well as one of the intriguing ‘gospels’ discovered in the famous Nag Hammadi library. Studied together these texts will improve your skills and experience as a reader of the Ancient Egyptian language, while exploring some of the most distinctive words and ideas from the foundational century of the Coptic Church. I know that some friends and colleagues from Armenia are reading this blog, so I am pleased to invite you to a lecture I will give on May 12, 2018 from 12 o’clock at the Mashtots Institute of Ancient Manuscripts (Matenadaran) in Yerevan. The announcement on the Matenadaran website (in Armenian only). 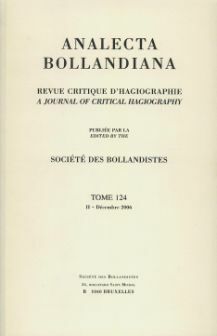 These high-resolution photographs are meant to accompany the article of Zuzana Vítková and Hans-Gebhard Bethge, “Parchment BL Or. 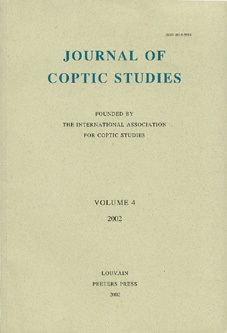 5287(3) Revisited: A New Edition of the Sahidic Fragment of Genesis 3:16–4:4 (sa 202 [Schüssler]),” Journal of Coptic Studies 20 (2018) 189-203. 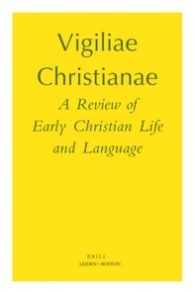 ABSTRACT: In this article, we present a new edition of the Sahidic Coptic biblical manuscript fragment sa 202 (Schüssler’s number in Biblia Coptica), British Library Or. 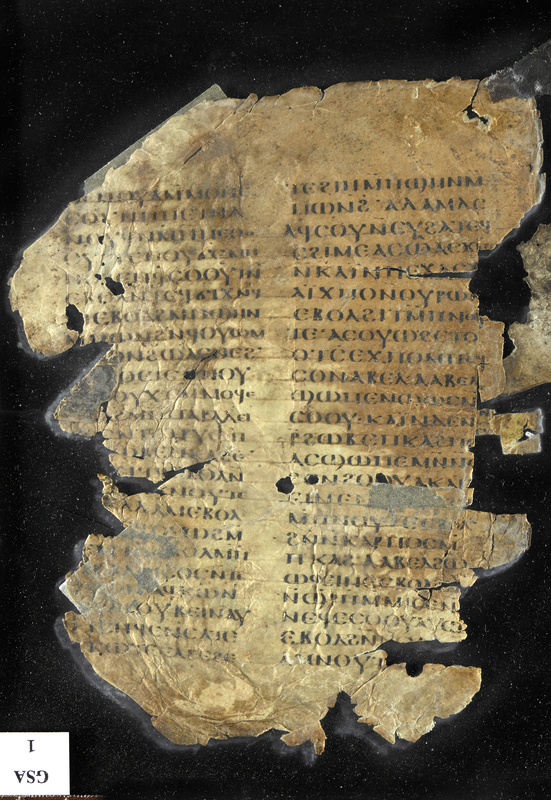 5287(3), a single parchment codex leaf with Genesis 3:16–4:4. 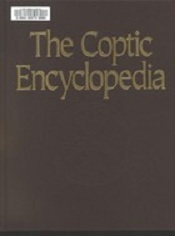 The more legible part of the manuscript was published in the supplementary section of Crum’s Catalogue of the Coptic Manuscripts in the British Museum: London 1905, p. 391 (no. 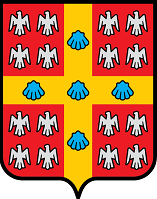 932). The ink has significantly faded in the worse preserved parts, but many of the letters are readable anyway because they are “engraved” in the parchment due to the scribe’s use of a kalamos. 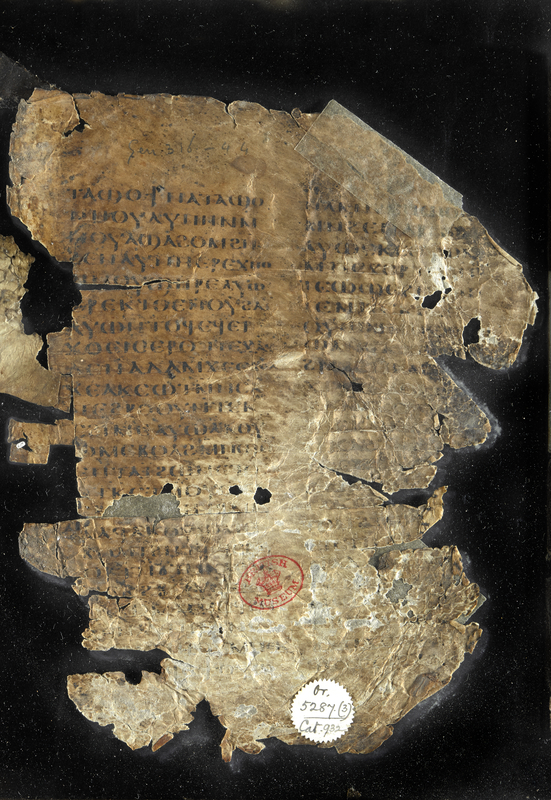 Careful observation, including with the aid of ultraviolet light, has revealed the “lost” verses to a great extent. The article offers the full text of the parchment and its presumed reconstruction where the text remains unreadable as well as its comparison with the only other Sahidic Gen 3 fragment survived, sa 108L (Genesis 3:16–24; Schüssler = sa 16 L [SMR]; Rome, Biblioteca Apostolica Vaticana, Borgia copto 109, cass. XXIII, fasc. 99; probably date of origin 14-15th century; ed. 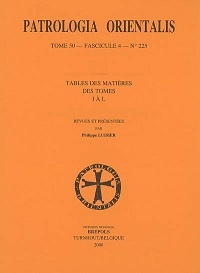 Ciasca, Sacrorum Bibliorum Fragmenta 1:1–2).